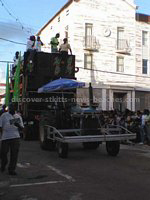 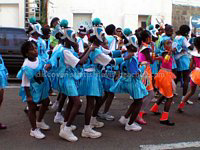 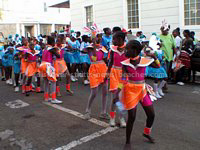 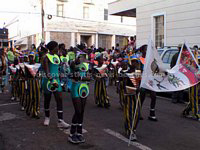 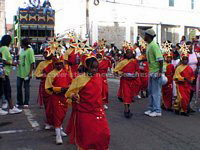 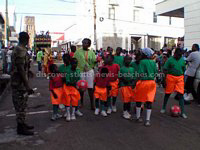 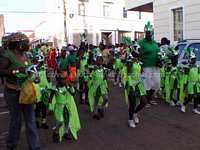 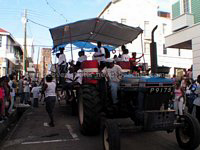 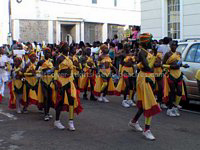 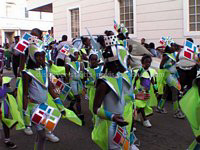 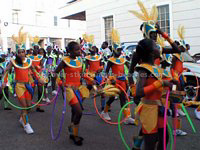 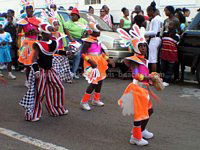 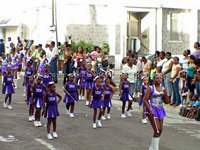 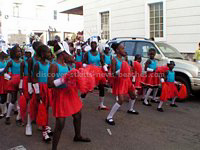 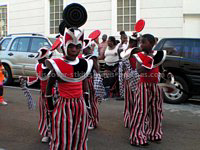 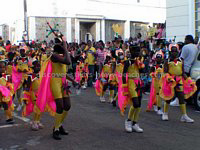 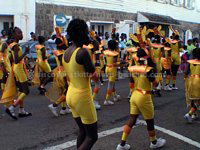 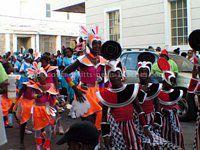 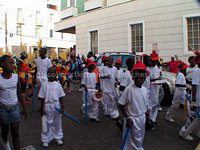 The following photos are from the 2005 St Kitts Children Carnival Parade on December 31, 2005. 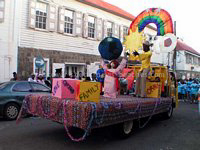 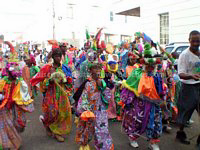 This Carnival parade is usually one of the highly anticipated events of the St Kitts carnival activities. 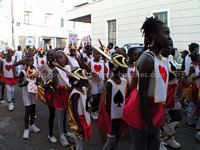 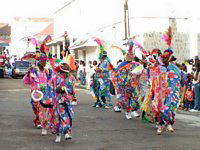 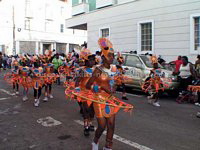 Adults and children alike line the parade route to see children from the various schools decked out in their colourful carnival costumes dancing and performing in the streets of Basseterre to the pulsating tunes of the brass bands and hi-fi sound systems. 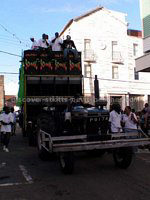 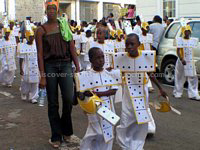 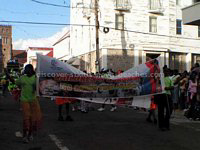 I hope you have an enjoyable viewing the photos of the 2005 St Kitts Children Carninval Parade.